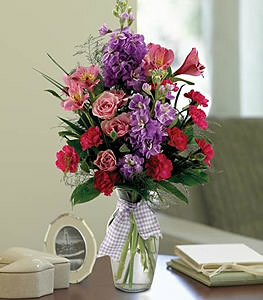 Weve designed this mixed bouquet with an eye on color and texture, and a nose pointed to light, fresh, fragrant scents. Delight their senses with this floral treat. Fragrant stock, spray roses, alstroemeria and miniature carnations.